Aries ( 21st March to 20th April ) : Ganesha notes that the New Moon falls on this Wednesday. This week, Mars and Mercury will be in conjunction with the New Moon, whereas Saturn will be placed in the 9th House. Owing to the multiple effects over the New Moon, you may be in a state of dilemma while deciding your priorities. Saturn retreating in Scorpio in the 8th House from your Sign is a major planetary change, according to Ganesha. Businesspersons, especially manufacturers, will need to stall their plans for expansion. With Saturn placed in the 8th House, there could be a feeling of discontent brewing within. Saturn will aspect Jupiter placed in the 5th House which may dilute the positive influences of Jupiter. Professionals may need to learn a few new things to improve your performance while freelancers may also need to go for some crash course to hone their skills. The flow of money may not be very steady during this period and hence saving money may be difficult. Taurus ( 21st April to 21st May ) : A major change in planetary configuration will take place now as Saturn will re-enter Scorpio in retrograde mode. With this, Saturn will be placed in the 7th House from your Sign and in direct opposition to your Sign. This may lead to a minor setback in your profession/ business. You will need to review your action plan to achieve higher growth. You may also be required to put in extra efforts and have the patience to convince high-worth consumers. You will also need to focus on the customer care policy and provide better services in order to create a stronger brand image. On the job front, you may receive good co-operation from peers, but your relations with superiors may not be very encouraging. Your boss may seem to be on a fault-finding mission. So, remain focused and avoid any mistakes while doing a given task. The New Moon falls on Thursday, and as a result, around Thursday you will have trouble putting your priorities in the right order. Gemini ( 22nd May to 21st June ) : A major planetary change this time is that Saturn will re-enter Scorpio in retrograde mode. This should work well in narrowing differences with your life partner. You will now be able to enjoy the pleasures of marital life, without any reservations. At work, this change is likely to help you consolidate your position. But businesspersons will need to put in extra efforts to clinch a profitable deal from a valued customer. Also, you will need to focus on customer care to keep your clients satisfied. Those of you in the service industry will also have to focus hard on customer care. On the financial front, there’s nothing much to worry about as you will be able to manage routine expenses comfortably. With two major benefices, Jupiter and Venus, placed in the 3rd House, you are likely to have a great time socializing and partying. Over the weekend, you may plan to visit a nearby resort or a place of recreation with family and near ones. 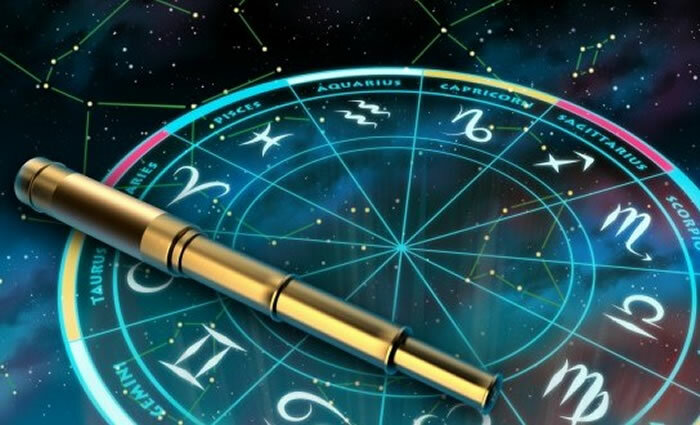 Cancer ( 22nd June to 22nd July ) : An important change is planetary configuration now begins with Saturn re-entering Scorpio in retrograde mode. A positive outcome of this change may be that your relations with your life partner could become cordial. Ganesha foresees your life-partner becoming more responsive and accommodating. But at the same time, you may be in for a shock because of the offensive conduct of some other loved one in the family. Those in job may see an improvement in their performance. Relations with superiors are also likely to get better during this period. Businessmen may not get much respite even now as difficulty experienced earlier in increasing turnover may continue this week as well. This is largely because the combust Mars may act as a constraint in achieving higher growth. On the positive side, you are likely to be better placed financially. But an unexpected increase in the household expenses may upset your savings plans. As for your health, Ganesha says that you may come across the right medication for an old problem. 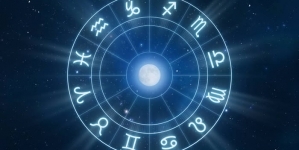 Leo ( 23rd July to 22nd August ) : A noticeable change now shall be that Saturn re-enters Scorpio in a retrograde mode. The New Moon falling around Wednesday too will mark a new beginning – specifically in your relationships – with friends or new people. This is also likely to inspire you to look for newer avenues for increasing monetary gains. With Mercury now moving in a direct mode, it is a good time to set right the matters related to finances. With Saturn placed in the 4th House from your Sign, you may, however, experience discord in your relations with your life partner/ beloved. And, to make matters worse, the indifferent attitude of your life partner may reduce the scope of reconciliation further, feels Ganesha. Moreover, incidental expenses are likely to increase, around this time, forcing you to curb your personal expenses. Those of you engaged in a job may be hard pressed to meet the stipulated deadlines. You may have to do some multi-tasking and accept new challenges to keep your position secure. And, for this, you may even have to brush up your skills to improve your overall performance. Virgo ( 23rd August to 22nd September ) : You shall feel quite relaxed now, as the retrograde Saturn re-enters Scorpio in the 3rd House from your Sign. Your overall efficiency is also likely to improve. If you are keen on change in job, you may now start applying now. However, don’t be in a hurry to join. Businesspersons may also face less number of hurdles and make progress easily. But you will have to be careful and not spend money recklessly. 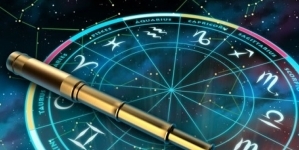 This is because the influence of Saturn on the 12th House may lead to increase in incidental and household expenses are also likely to increase. And it goes without saying that with all these expenses, you may not be able to save much. Freshers seeking employment may face the problem of plenty as there may be too many options available. But take note of your future growth prospects before making a commitment. On health front, there are no major negatives foreseen this week. Libra ( 23rd September to 22nd October ) : The drop in your finances may keep you worried now as there may be some urgent expenses to meet. This can be fallout of Saturn re-entering Scorpio in retrograde mode in the 2nd House (House of Finance) from your Sign. For those of you looking to change your job for better growth prospects, this is not the right time. You will have to wait for some time. Right now, Saturn is aspecting Jupiter and in view of this, you may need to learn a few things in your career field to improve your overall performance. With Saturn placed in the 2nd House of finance, unexpected expenses, mostly related to family, may upset your plans for savings. Keeping this in mind, you will have to plan your finances in a way so that you have enough money to meet an emergency situation. 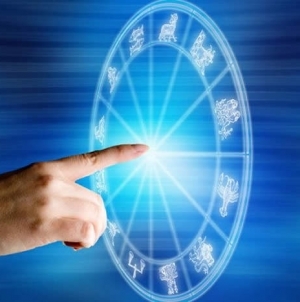 But with your lucky star moving in direct motion, you can rely on your good luck to bring up good opportunities for earning. Scorpio ( 23rd October to 22nd November ) : Retrograde Saturn will re-enter your Sign at the beginning of the week. This is likely to make you less aggressive and more aware of the ground reality and your own limitations. Those of you doing a job may need to work harder and even put in extra work hours to finish your work in time. But in spite of this, you may not receive due recognition for your hard work. Also, you may face a difficult time in matters related to personal life. Friends may not be sympathetic with you and, on the contrary, may be critical about the way you carry yourself. Businesspersons may also have to do hard bargaining to win over high-worth customers. You may also miss some good opportunity to strike a lucrative deal around Wednesday and Thursday. In fact, someone very close to you may be instrumental in secretly spoiling your chances. But Ganesha says this experience will only make you wiser, so take it in your stride. Sagittarius ( 23rd November to 21st December ) : A noticeable change in planetary configuration is expected. The retrograde Saturn will re-enter Scorpio and will be in the 12th House from your Sign. And as result of this, incidental and personal habitual expenses are likely to increase. This may leave you with very little or no money to save. Around Wednesday, the new Moon will start evolving and may usher in new beginnings for you in day-to-day activities. Relations with life partner are likely to be cordial and closely interactive. With Mercury, the significator of intellect, moving in direct mode, businesspersons can go about executing their plans to increase turnover and, in turn, boost earnings. Short-term travel during this period to explore new territories is likely to be fruitful. If you’re doing a job, your committed efforts are likely to receive due appreciation from the higher ups. This will give you a reason to cheer up and stay motivated. Lovebirds too are likely to have a pleasant and enjoyable time now. Capricorn ( 22nd December to 20th January ) : The Ruler of your Sign, Saturn, will change Sign to re-enter Scorpio in retrograde mode. Saturn will now be placed in the 11th House from your Sign. As a result, you may no longer feel stressed. On the contrary, you will be better placed financially and will be able to use your discretion while spending money. This will ensure that you have more money on you even after meeting routine financial commitments. However, for some reason or other, you may not be able to save much. At workplace, you may be well-equipped to handle difficult task that is entrusted to you. This is a good time to consolidate your position in office by working hard. Around Wednesday, the new Moon will start evolving. This may lead to a new beginning in matters related to job/employment. In marital life, unpredictable mood swings of your life partner may leave you baffled and, at times, the situation may become difficult to handle. Singles, too, are likely to face difficulty in expressing their feelings to the person they love. Aquarius ( 21st January to 18th February ) : A major change this week is about the Ruler of your Sign, Saturn, re-entering Scorpio in retrograde mode. Businesspersons are likely to be hard pressed and may have to put in extra efforts and bargain hard to strike high-value deals. 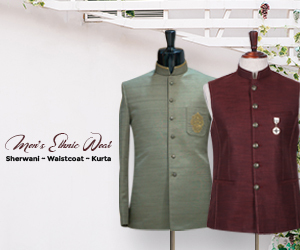 You will also need to be particular about the quality of goods you buy or deliver. There may be roadblocks in day-to-day working. With Mars in combust state, flaring tempers can be an issue and will have to be kept in check to avoid unnecessary complications. Freshers looking for a suitable job opportunity are likely to be disappointed now as there may not be a positive response from prospective employers. Freelancers too may be a worried lot because of lack of well-paying assignments. The new Moon will start evolving from around Tuesday and is likely to have a refreshing effect on your mind. You may now think afresh to achieve higher growth. In regard to health, old problems will need to be monitored by going for regular checkups. 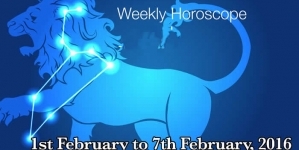 Pisces ( 19th February to 20th March ) : You are likely to remain concerned about domestic matters and personal savings. With Mars being combust, discontent among family members is likely to worry you. You may need to spend money to buy them what they desire and keep them happy. But having met these expenses, you may not have enough money left with you for savings. A major change that will take place now is that Saturn, already in retrograde mode, will re-enter Scorpio in the 9th House from your Sign. Indirectly, this will help resolve domestic matters. 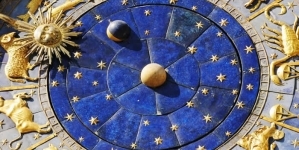 Around Wednesday, the new Moon will start evolving in the 4th House from your Sign. With domestic matters settled and running smoothly, you may be able to focus on other relevant issues. Progressive forces are now likely to work effectively and this may make higher growth seem attainable. Businesspersons may now face less number of hurdles and will be able to focus on increasing turnover, especially around Wednesday and Thursday. Middle aged and above suffering from diabetes will have to remain careful about their health and go for regular checkups.